When traveling you can relax knowing your pet is happy, safe, and well cared for. We know that pets are part of your family and we make them part of ours when boarding here at Montana Veterinary Hospital. Our professional trained staff loves animals and strive to provide a healthy, clean and stress-free environment for your pet. 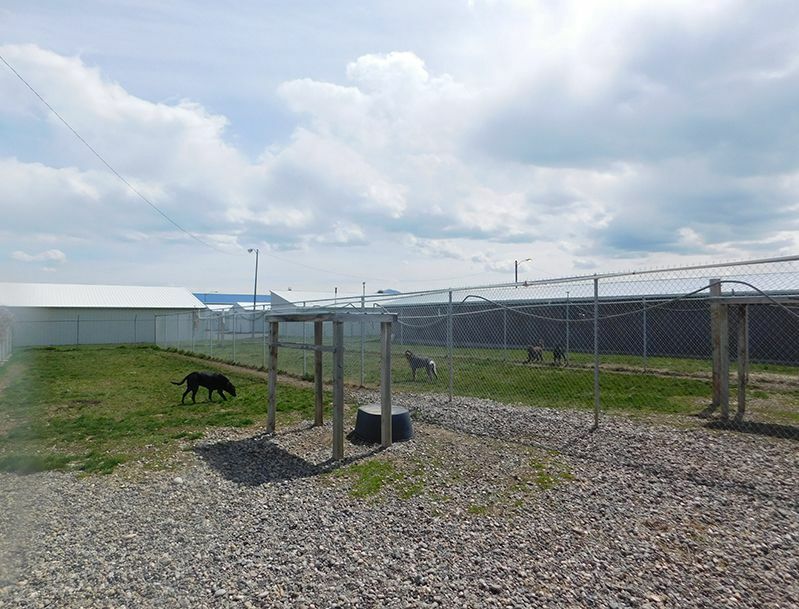 Montana Veterinary Hospital is also a full-service boarding facility with numerous indoor and outdoor kennels for dogs of all sizes, and a separate cat ward. Dogs are frequently rotated out to our large grass yards and we feature individualized stays, with no co-mingling. If dogs are from the same family they can run in yards together. We find it unsafe to run dogs together that are not familiar with each other. We ensure all boarded animals are healthy and are current on their vaccines prior to entry. We can perform all necessary vaccinations on the day your pet arrives to stay at our facility. While boarding, our staff will monitor your pet's health daily. Dr. Moylan will give a courtesy exam should any concerns take place during your pet stay. 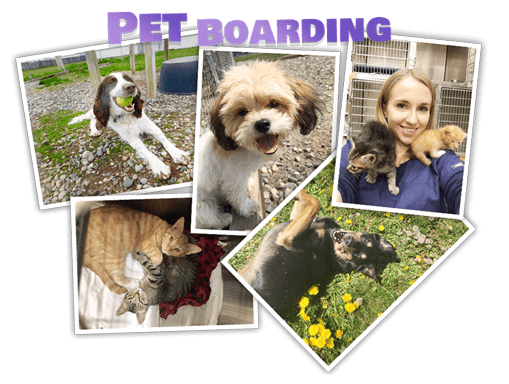 We do not accept Pitbulls, Akitas, Rottweilers, American Bulldogs, Mastiffs, Belgian Malinois, Olde English Bulldogs or Chow dogs for boarding. Any dog that is mixed with these breeds is required to complete a day board the week prior to actual boarding to be evaluated by our staff and veterinarian. We di reserve the right to deny boarding to any other breed of dog that we deem unsafe or unmanageable. Our kennels are cleaned daily by nurturing, conscientious kennel technicians who truly love animals. General grooming, bathing, and brushing are offered at a discounted rate for boarding pets. Nail trims are also available. Exotic pets are welcome for boarding. We offer special hours for weekend/holiday drop-offs and pickups and daily veterinary supervision is available for all animals. Our weekend and holiday pick-ups and daily veterinary supervision are available for all animals. Our weekend and holiday pick-up and drop-off hours are Saturday 8:00 am - 8:30 am and 5:00 pm - 6:00 pm, Sunday 8:00 am - 8:30 am and 5:00 pm - 6:00 pm.